Well, Rafflecopter chose a winner, and it's Linda N! 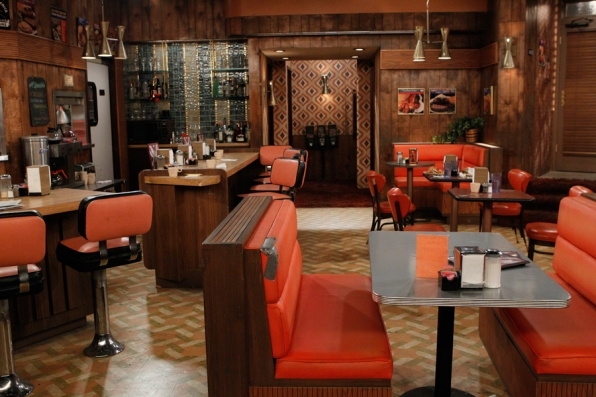 omg i watch 2 broke girls faithfully and I never noticed the wallpaper till now! WOW this was SO HARD I don't watch either of them LOL nice idea though! There will be some easier ones!! :-D Keep trying! Thanks! I loved this contest! It was so fun! I don't watch either one but I did get 2 broke girls. Yea! Did Linda or anybody get them both right? Can't wait til the next one! What a great idea. Thx this was tons of fun. I can't for the life of me figure out how to enter the contests in the widget. There's nowhere for me to input my answer or anything. Can anyone help me?